Alana is one of the latest leasehold residential development by Far East Organisation, the largest private private residential developer in Singapore. Located at Sunrise Terrace, Alana has a big land size of 167, 531 sq ft and comprises of 78 3-storeys high cluster terrace houses. Tucked away in quiet neighbourhood, designed with resort-like facilities, this exquisite development is a perfect place that provide relaxation and rejuvenation for its residents. This beautiful project is expected to obtained its TOP by the end of 2017. Sitting in the exclusive low-rise private residential enclave at the Yio Chu Kang Estate, Alana is only about five to ten minutes drive to popular eateries along Jalan Kayu and Greenwich V. Shopping malls such as Seletar Mall, AMK Hub, Compass Point are all within a short drive away. Several renowned schools such as Anderson Primary and Secondary School, Nan Chiau Primary School, CHIJ St Nicholas’s Girls School and Anderson Junior College are all within close proximity as well. This newly launched Singapore property is also within a short drive to Seletar Aerospace and the future Seletar Regional Centre. For property investors, Alana will definitely be the ideal rental location for expats who prefer low-rise residential development. 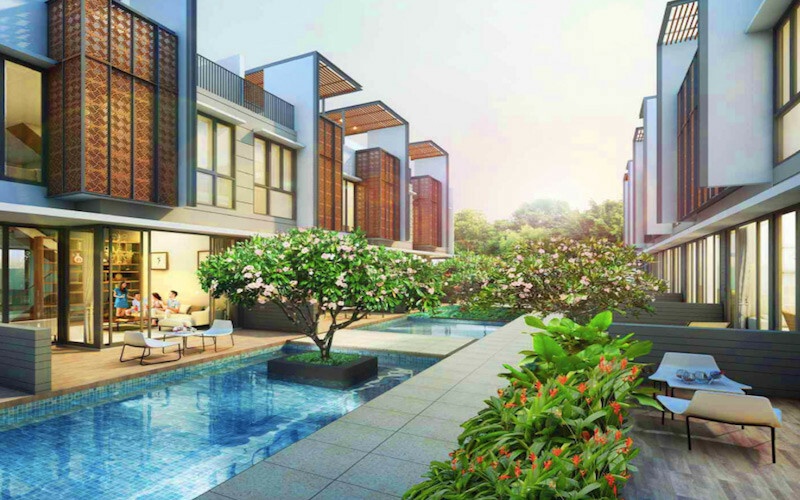 Call Us @ +65 6100 4668 / SMS Us @ +65 9137 4668 now to find out more about this low rise residential development now! Prices start from $2.2xmil onwards. Call Us @ +65 6100 4668 / SMS Us @ +65 9137 4668 for full range of floor plans.